Russia contracted for another seven Project 12700-class coastal minesweepers for its Navy, Commander-in-Chief of the Russian Navy Adm. Vladimir Korolev said Friday. ST.PETERSBURG (Sputnik) — Project 12700 vessels are designed to detect and destroy mines at safe distances on naval base territory. The first ship was laid down in 2011 and launched in 2014, with a total of four vessels set to be built. The minesweepers have a full displacement of 890 tonnes and are 61 meters (200 feet) in length and 10 meters wide. 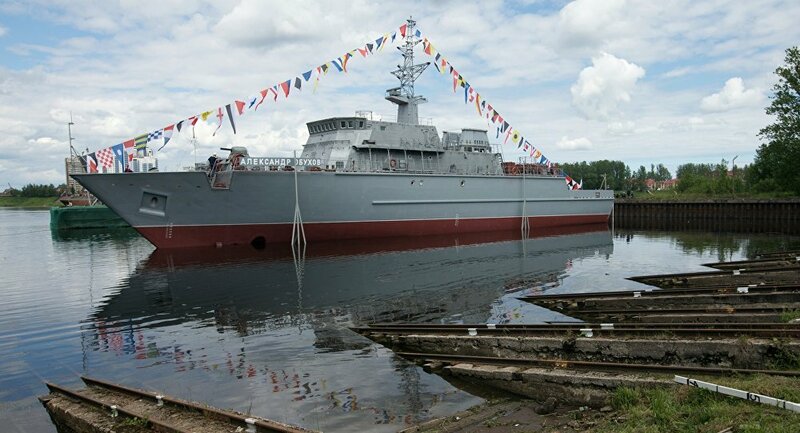 "We have definitely planned and already contracted for another seven vessels within this project, in the long-term perspective we are planning to [contract] for more than 40 vessels within this project," Korolev said at a handover ceremony of the Alexander Obukhov minesweeper to the Navy. In 2014, the Russian Defense Ministry said that the country’s Navy would receive new minesweepers by 2019 under project 12700.